Energy is everything, without energy nothing can be done. Energy is used for everything people do in daily life such as taking a shower, cooking meals to launching a rocket into space. This energy comes from the different resources collectively called as fossil fuels. Fossil fuels are formed over billion of the year from the living organisms which remain in the beneath of earth layer. To form fossil fuel it takes a very long time and it is consumed at a much faster rate than they can’t be replaced. The rate of fossil fuels consumption indicates that the day is not so far when this energy will run out. Over the large consumption of this energy, it will not only run out but also left us in a polluted environment. The use of fossils fuel produces greenhouse gases and these gases are the main cause of man-made climate change. Because of all these challenges we need to find out the alternate source of energy. The energy should be renewable, sustainable. Renewable energy resources are a source of energy that can quickly replenish themselves. It can be used again and again, will never run out but also it should generate clean energy and eco-friendly. The source of renewable energy includes wind, solar, tidal, wave, and hydroelectric power etc. 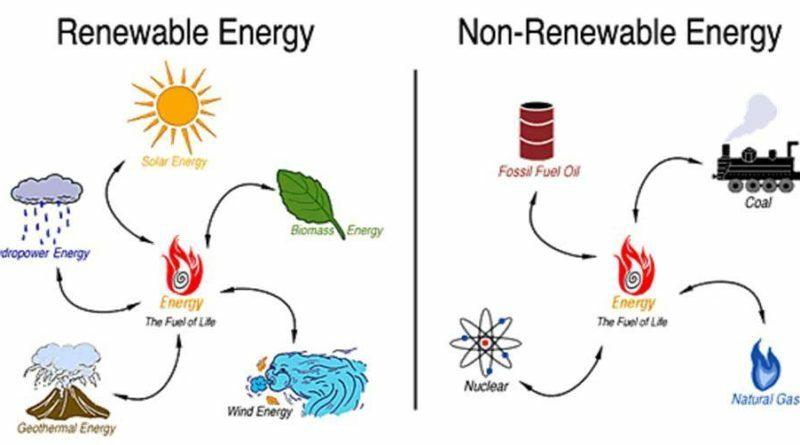 Non-renewable energy is that energy resources which exist freely in nature and finitely available. This energy cannot be renewed once it is consumed because it takes billions of years to form. The source of non-renewable energy is coal, crude oil, natural gases and uranium. In the fossil fuel carbon has more contribution. It is believed that fossil fuels were formed over 300 lacks of years ago when the earth was very different in its landscape. It is a solid fuel which is mined from the earth layer. Coal comes from the plant that died or got stuck between the earth layers over almost 300 years ago. It is found in earth layer like a sandwich between the layers of rock. It is the most abundant fossil fuel and supply and use are longer than the other fossil fuel. It is a fossil fuel which is formed from the remain of the animal and the tiny sea plant. These tiny plant and animal died hundreds of lacks year ago. A long process is involved to make it useful for the vehicle such as gasoline, diesel and jet fuel. It is found that 90% of natural gas is made up of Methane and some amount of other gases like propane and butane. It is also formed from animal and sea plant that died over lacks of the year ago. It is readymade fuels because the only refinery is required to use the fuel. Fossil fuels give a very large amount of energy from the small amount of fossil fuels. It cheap to extract and convert to useful energy. It is easily accessible and more compatible. Fossil fuels are very efficient. Fossil fuels can be easily transport from one place to other using underground pipe line. It non renewable energy resources. Once it is run out cannot be reproduced. Burning of fossil fuels emits carbon dioxide and other toxic gases which affect the climate change. Mining for coal or drilling for oil is very dangerous, produces a large number of diseases. Its use increases the air pollution that result to lungs problem and asthma. Burning of fossil fuels produces sulphur dioxide and smoke, it cause pollution and acid rain. It is the source of energy that quickly refill themselves and abundantly available in the nature. Renewable energy resources gives the clean energy and does not produce green house effect, it can be used again and again. Renewable energy source will not ever run out. This energy will always there no matter how much we use. Wind energy produces by the movement of the blades. Especially the wind turbine can be operating at sea as well as on the land. Wind rotates the blades of the turbines that produce electricity. 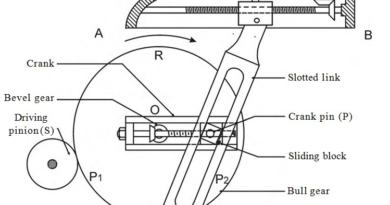 Blades are connected to the low speed shaft, when the blades move they turn the shaft. Solar energy is the produces from the photon. It is a renewable energy that will never run out. Solar energy can be converted into electricity. There are two types of technology involved in it. In the solar thermal the sun light is turned into the thermal energy. These systems are also used for heating the space or water. In the solar photovoltaic the sunlight is a strike on the photovoltaic cell and directly converts into the electricity. Biomass is renewable energy resources. It is produce by organic matter. Organic matter includes wood, crops, and animal waste. Biomass is used to produce electricity. In a waste to energy plant, the from the kitchen waste to cow dunk is utilized to generate the electricity. Biomass can also be converted into ethanol and biodiesel to run the many types of vehicles. In the hydropower plant, the water is stored in the reservoir and then forces the pass through the turbine. The rotation of the turbine generates electricity. Some time moving water is also used to generate electricity. It will not run out, no matter how much we use. Produce clean energy that does not pollute the environment. It derived from the naturally available resources so this reduces the cost of production. This energy is stable and can be available at the constant price. It has a continuous source of energy. To harness the energy whole operation cost is low. Vulnerable to weather and other climate event. Required a large space to set up. It depends on the location. Not available in all areas. Fluctuations problem in solar energy. 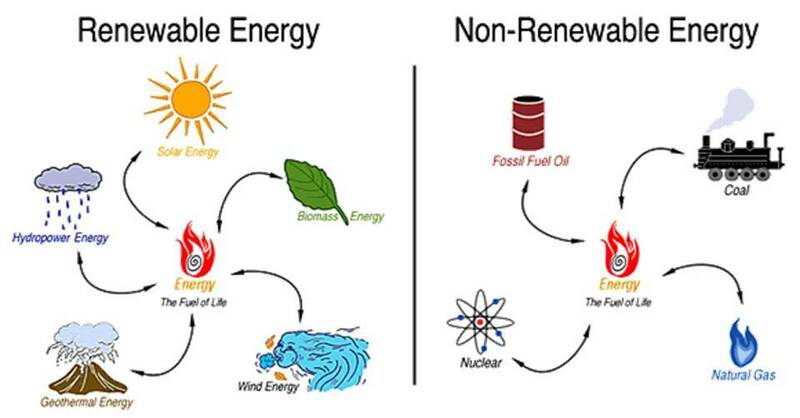 This is basic about renewable energy and non renewable energy sources. If you have any query regarding this article, ask by commenting. If you like this article, don’t forget to share it on social networks. Subscribe our website for more informative articles. Thanks for reading it.